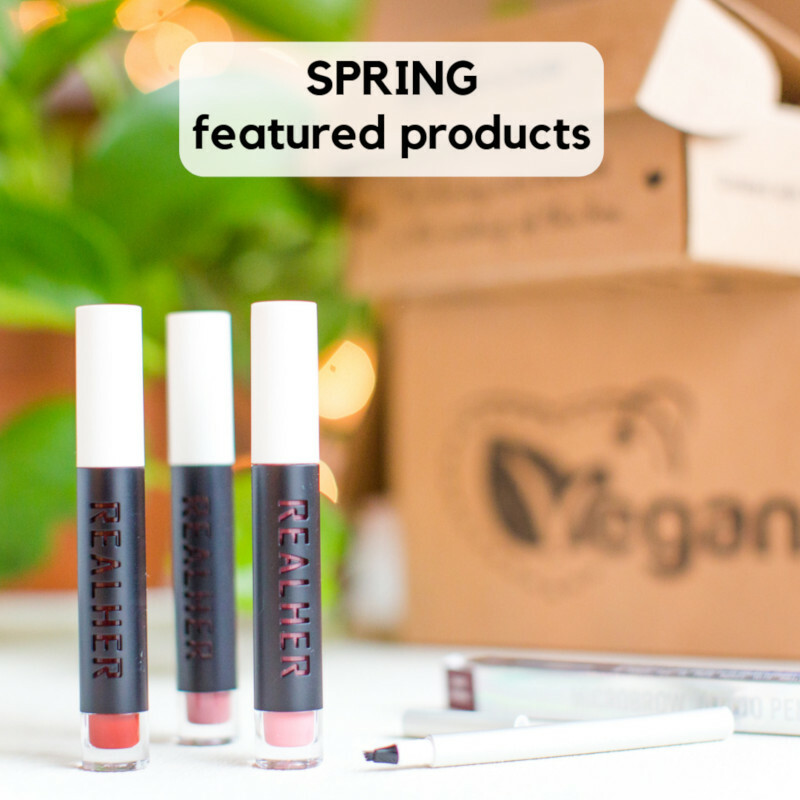 Quarterly box that delivers full-size vegan & cruelty-free makeup to match each season. From lipstick to mascara to luxe nail lacquer, we’ve got all your needs covered and will customize your box based on your beauty profile. Spring Box ships March 1–May 31. Next billing on June 10 for Summer Box. Every Spring Makeup Box subscriber will receive an RealHer Lip Gloss in either I am a Fighter, I am Awesome, or I am a Rockstar (color chosen in Beauty Profile) and an Iconic Beauty Microbrow Tattoo Pen. Boxes begin shipping March 19 and will ship every Tuesday and Thursday thereafter (excluding holidays). Your box will ship on the next Tuesday or Thursday after you placed your order. If you are an existing subscriber your box will ship no later than March 25. "I was really impressed with the selection and value of $111"
"It feels like Christmas whenever it comes in!" "I like that you can customize color selections!" "Absolutely loving the natural look I made with these!" You're signing up for our Quarterly Makeup Box. You'll pay for your first box upon checkout and it will ship on the next Tuesday or Thursday after your order. After you subscribe, you'll receive a confirmation email that includes a link to our Beauty Profile Quiz, which you can complete to share your makeup preferences. *Quarterly plan automatically renews. See here for billing and shipping cycles.